If you’d like to attend the Private View please register for tickets on our EventBrite page. A group of artists from across the UK are preparing to head to Bristol, Europe’s Green Capital City, with a powerful new perspective on the city’s green ambitions. Human Nature is a celebration of emerging and cutting edge environmental art, an exhibition currently touring the UK and at Centrespace Gallery on Leonard Lane in Bristol from 17 – 30 July. The show launched in London last year and includes 20 artists from across the country, from street artists to photographers, sculptors and more; bringing 60 pieces of work to the city in the country’s largest showcase of ‘environmental art’. Supported by ethical investment platform, Abundance, it explores our complex relationship with the environment and looks at issues of climate change, extinction and man’s fundamental connection to nature. 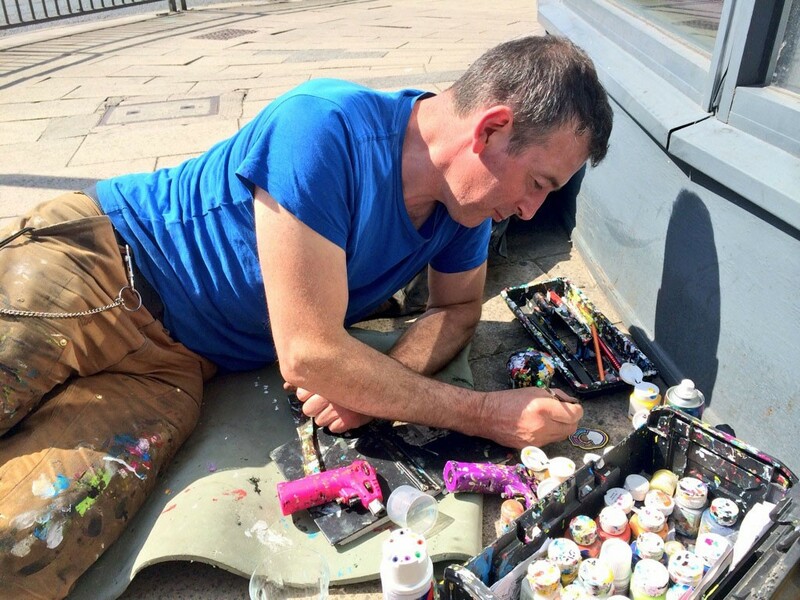 In the run up to the show, some of the UK’s top street artists will be at work revitalising one of Bristol’s city centre streets in an attempt to create the UK’s biggest environmental street art project. 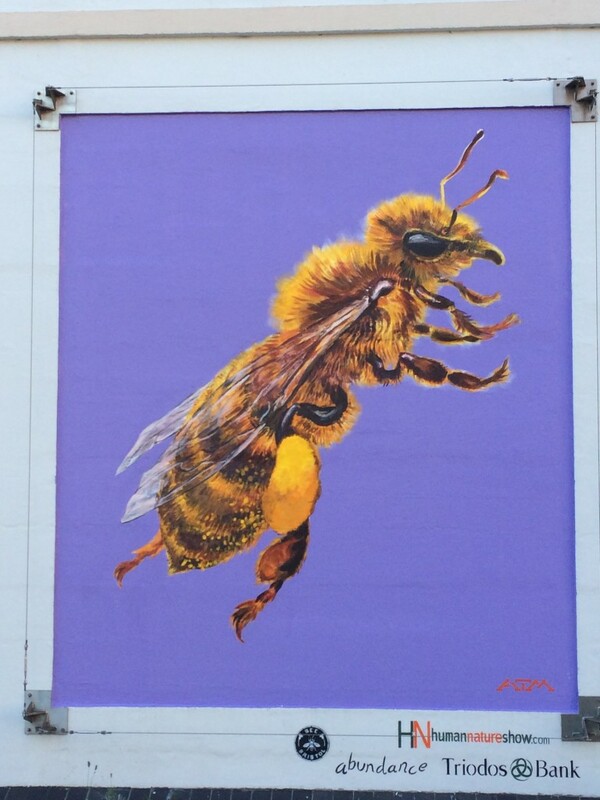 Human Nature’s ‘Our Enchanted Garden’ will see murals of endangered species from ATM, the artist behind At-Bristol’s giant Bee mural, miniature paintings on chewing gum by characterful Ben Wilson and a trail of bronze sculpture questioning our addiction to fossil fuels by secretive artist Jonesy. They are joined by Bristol’s Olli Gillard (Gage) and Jane Laurie together with mosaic artists Karen Francesca and Poland’s Justyna Budzyn. Full details of the location and project will be released in early July. 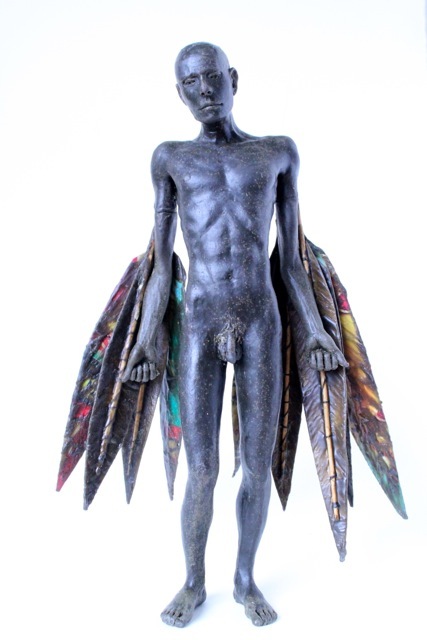 In addition to street art, Human Nature will include sculpture from objects lost and found by London’s Lesley Hilling and evocative oils from Northern Ireland’s Nicola Nemec. Showcasing The South West’s talent will be Marion Cheung, Helen Jones and Michelle Harvey. A growing body of artists from across the country, also on show will be work from Pete Marsh of Lancashire, Tim Godwin from Hastings and Felicia Charles from Yorkshire. Human Nature is also being supported by Stanfords of Bristol, Liquitex, Earthborn paints and PQ Magazine.